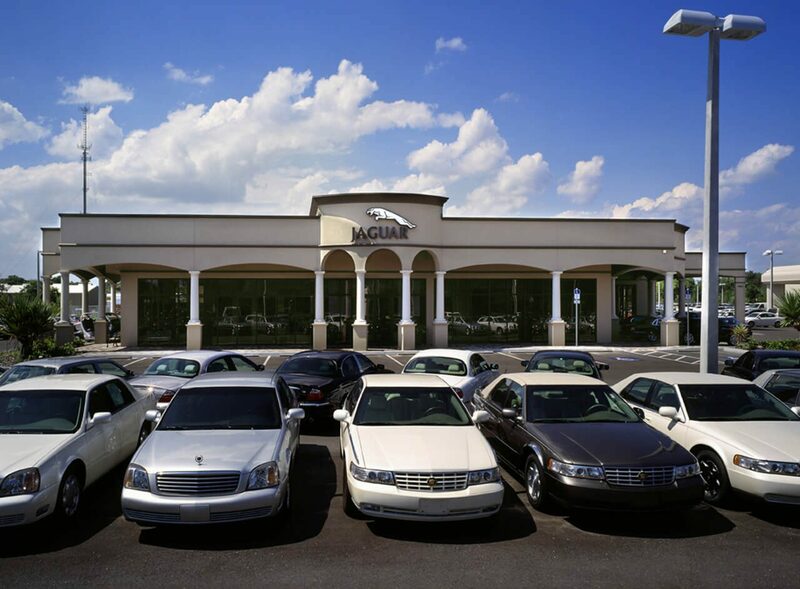 Lexus and Jaguar Car Dealerships, Sarasota, Florida set the pace for new car dealerships in Sarasota. Both projects were accomplished for the same owner and at the same time. The Lexus car dealership was a design that took very rigid design controls from corporate to integrate in to the owner’s site. The melding of required styling and the flow on this site led to a very successful dealership. Conversely the Jaguar corporate requirements were much more relaxed and invited creativity in to facade and planning for this dealership.